Now that most of its cast is in place—including Melissa McCarthy, despite all previous evidence to the contrary—Netflix can get down to the more serious business of naming its Gilmore Girls limited-series revival. The trip back to Stars Hollow will comprise four 90-minute movies, which will apparently each cover a season—fall, winter, spring, and summer. 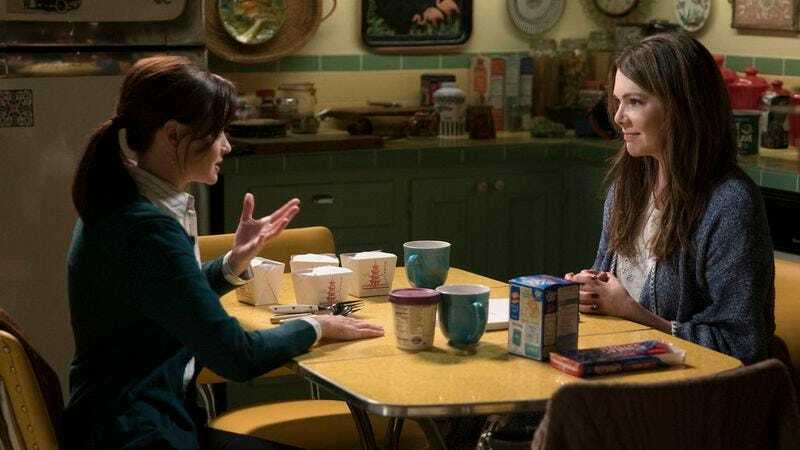 As such, Gilmore Girls: Seasons had served as a working title for the project, but it’s just been scrapped for something just as concerned with time. That’s according to Lorelai Gilmore herself, Lauren Graham. In a segment of The Ellen Degeneres Show that will air on Monday, Graham revealed the revival’s title. And there you have it, Gilmore Girls fans: We’ll soon spend six hours of our lives making our way through Gilmore Girls: A Year In The Life, which is “coming soon” to Netflix. Graham’s appearance on the show was followed by an official tweet from the streaming company, complete with title and gif. Now let’s all take some time to pore over the poster, just as we did with the first images from the show.